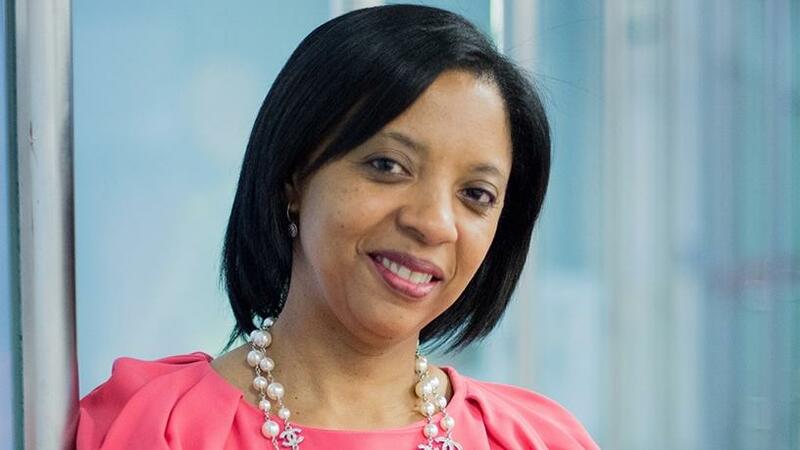 Roze Phillips, MD of Accenture Consulting in Africa. Around 5.7 million jobs in SA will be at risk over the next seven years due to digital automation, having a crippling effect on the economic growth of the country. This is according to a report release by Accenture titled: "Creating South Africa's Future Workplace." The report reveals that over a third of current jobs in SA are at risk from technologies like robots, artificial intelligence (AI), machine learning and automation, with both white and blue-collar workers' positions in the firing line. Speaking at a seminar held at the University of Stellenbosch Business School this week, Dr Roze Phillips, MD of Accenture Consulting in Africa, said SA needed to act now to ensure that humans and machines can work together in the future. "Our research shows that if SA can double the pace at which its workforce acquires skills relevant for human-machine collaboration, it can reduce the number of jobs at risk from 3.5 million (20%) in 2025 to just 2.5 million." "With the threat of automation growing, SA is less prepared than other countries and needs to give its workforce skills to participate in the digital economy. In a country with a staggering 27.7% unemployment and jobless youths making up 75% of unemployment, the future looks bleak," she commented. The research found that among the top 10 jobs at risk from automation are those of clerks, tellers, mining and maintenance workers, insurance claim and policy processors, bill and account collectors, moulders, casters, furnace operators and team assemblers. In position one of those whose jobs are most at risk are accountants, auditors and bookkeepers. The research, Phillips continued, showed occupations that allocated more time to human-like activities had a lower probability of automation, while workers involved in occupations such as production, office administration, tellers, cashiers, farming, food preparation, accounting, auditing, insurance claim and policy processing, construction, mining, transportation, installation and maintenance were at the highest risk. "Automation isn't a force that will affect one part of our society only, all fields will be affected." The process used to collect data, according to Accenture, consists of researching various job categories drawn from Statistics SA to gain insight into human-like and machine-like activities, taking into account the type of work, skills and tasks; the recent skills evolution in jobs; degree of work automation; work supply demographics and productive structure. Furthermore, Accenture's corporate citizenship team interviewed more than 40 practitioners and thought leaders from a wide range of fields spanning neuroscience, workforce development, corporate learning and talent development and so on. The team also analysed over 130 million job postings; reviewed 1 000 workforce development programmes; established a learning circle made up of experts from around the world; and assessed around 25 of the leading frameworks on the future of work and skills. The PwC Global CEO Survey released at the start of this year found SA's already strained job market will come under further pressure over the next 12 months, with CEOs planning to reduce headcount as a result of rapid technology advancements. Dion Shango, CEO of PwC South Africa, believes the connection between technology and talent is a critical area that will determine the future sustainability of many enterprises and economies in the coming years. The reduction in headcount that has been forecast is clearly being impacted by this trend as well. A study by the McKinsey Global Institute estimates that between 400 million and 800 million of today's jobs will be automated by 2030 as digital platforms and other innovations change the fundamental nature of work. However, the research also takes a positive perspective, adding that while tech will replace some jobs, it will also create new positions that will require new skill sets. "Technology adoption can and often does cause significant short-term labour displacement, but history shows that, in the longer run, it creates a multitude of new jobs and unleashes demand for existing ones, more than offsetting the number of jobs it destroys even as it raises labour productivity," notes McKinsey Global Institute. A research report from Forrester echoes the results of the McKinsey Global Institute study, saying while automation will displace 24.7 million jobs globally by 2027, new technology will also create 14.9 million new jobs in the next decade, with automation creating jobs equivalent to 10% of the workforce through 2027.